It’s 10:15 AM on a Tuesday in March and classes have just changed at Farnsworth Middle School (FMS) in Guilderland, NY. Members of the FMS Student Help Desk are coming in to their office space to get their assignments. Brennan and Kim sit down with specialized computer repair tools to replace missing buttons on some Chromebook keyboards. James is picking up a new printer cartridge to replace an empty one in the main office. Amy and Braedyn are helping set up a new Chromebook cart. These are all jobs they take as seriously as any other IT professional and they are only in 8th grade! The high school student help desk model has been implemented in many school across the country, including in our home district at Guilderland High School (GHS). Teens that join these help desks have proven to be technology leaders who help their school community with repairs, support and the rollout of many different kinds of technology. We were confident that we could bring this model to the middle school level, despite the cognitive and behavioral differences between middle schoolers and high schoolers. We felt our students were self-motivated, responsible and focused enough to run a help desk. It wasn’t just on a whim that we decided to start the help desk. There was a growing need for tech support and “tech gurus” in our building beyond the IT staff. There’s been a steady rise in the use of technology at FMS and an emphasis on encouraging positive integration of different kinds of technology in the classrooms. Most of our teachers aren’t afraid to try the newest app, device or cool gadget, but all that new technology must work (and play nice) with our current technology. We are a “Google for Education” school, so the G-Suite apps (including Google Classroom and Google Docs) are heavily integrated into our curriculum. The use of the “Google Apps for Education” presented a learning curve for some teachers and staff new to the platform. The Guilderland School District is also on track to go 1:1 with Chromebooks next school year starting in 5th grade up to 12th. That’s a lot of devices that need to be rolled out, supported and repaired when things go wrong, as technology inevitably does. Instead of assigning the growing support and training tasks to our IT team, we decided to recruit the group that has the most to gain, and often, has the most experience with technology: our students. The idea was planted, and it took a team to bring it to fruition. If you want to start your own middle school help desk we strongly recommend having administrator support. There also needs to be teachers and technicians working together to advise the students and bring accountability to the program. Our team decided to model the structure off the Guilderland High School help desk, which was already successful. Their program is run by their librarians and IT department with strong support from their building and district administration teams. At FMS, it became a collaboration between our building principal, the district technology admin team, the computer techs, the librarian and the enrichment teacher. There’s an inherent difference between our school and GHS due to grade level and maturity of the students. We also wanted to structure it differently from the GHS help desk by making our help desk a project-based service learning opportunity where students would earn pass/fail credit for their participation. Our students’ schedules do not allow for the help desk to be staffed all day like at the high school, so we had to find times where it would work into their day, such as before school, “access,” (which is our study hall time) lunch, and after school. Students at the high school level self-manage their projects by using the IT ticketing system, but we decided to guide students through the assigned tasks because of their grade level. Step 3: What Is It Going to Look Like? Responding to every request in a professional and courteous manner. Moving forward, students will continue working on these tasks in addition to helping with 1:1 implementation. We also wanted a name that would stand out rather than just “FMS Student Help Desk.” The help desk advisors are all Disney fans, so they modeled the name off the Disney park cast members and came up with the acronym “FCAST” or Farnsworth Cares About Student Technology! The next challenge was deciding how to choose the team of students. We had a vision of what FCAST would look like, but now we needed the right students to be our charter members. Our school consists of grades 6-8, and we decided to start with 8th grade students because they are familiar with middle school expectations, would be in the best position to handle the responsibility as leaders in the school and are preparing to go to the high school where they could continue their work at the high school help desk. We also recruited current 7th graders who would be going into 8th grade in the fall. There were flyers put up and announcements made on the school’s morning news broadcast. Students were directed to fill out an application online and then get recommendations from two teachers. Candidates were interviewed by a panel of the advisors and at least one administrator. The interview experience was very important to us because we wanted students to practice what they would go through when applying for job. They answered questions not only about their tech skills, but also about how they handle challenging projects, how they work with others and why they wanted to be a part of the help desk. This allowed us to recruit students that we knew were serious enough about the position to take the time and apply. By not just handpicking students, it allowed us to get candidates beyond the “kids that are good at tech.” We received around 20 applicants and were able to narrow it down to ten based on their interviews. The FCAST crew was now assembled. Next, we had to train them. We decided to bring them in over the summer for two days of training where we focused on tech skills, customer service skills and team building. Our computer technician taught the students some Chromebook repair skills and opened a computer to show them the parts. Customer service skills are an important component of a real job. We wanted to make sure that they knew how to walk into a classroom to help a teacher and not disturb a class going on, answer the phone to gather the right information when a teacher called for help, and most importantly, not dismiss the person they were helping for not knowing how to do something. 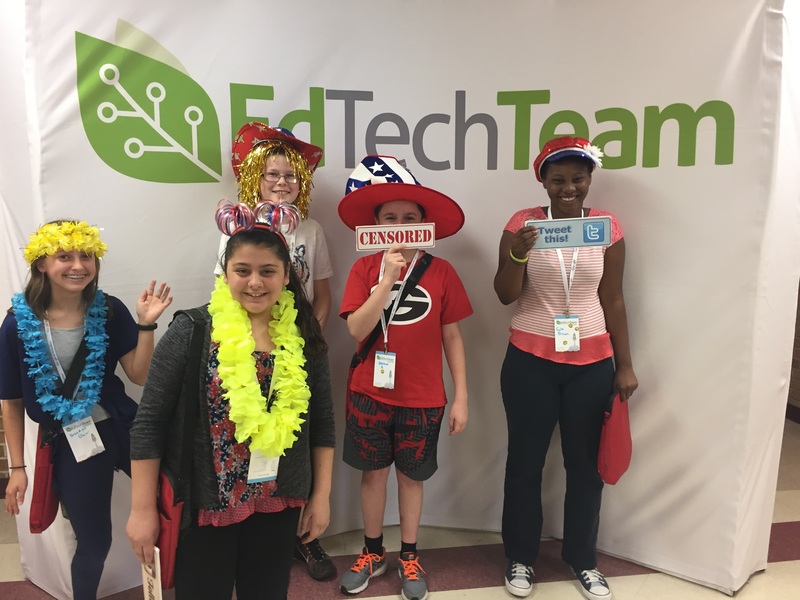 The whole second day was dedicated to team building; students had to complete a scavenger hunt around the building, stopping in different locations to fix technology issues such as changing a toner cartridge or hooking up a laptop to a projector. These are the issues we anticipated they would be working on most often. It was a quick turnaround, but now FCAST was up and running. Before the students left for summer vacation, we issued each student a Chromebook to take home to practice using Google apps and work on tutorials for teachers and fellow students. When school started in September, we gave the students a couple weeks to get used to their new schedules and then began regular work in the help desk room. To get them up and running, we provided them with tech tasks that needed to be completed right away, including fixing Chromebook screens and missing buttons, helping teachers set up the projectors in their classrooms and putting together carts of new Chromebooks for a computer lab. The students were working and now we had to “sell” our brand and services to the staff. We sent out emails to the staff letting them know what FCAST was, what tech issues the students could help with and how the staff could support the initiative by giving their feedback. We started meeting on as regular a basis as we could with the students and getting them on a set schedule of covering the help desk. Now the real learning began. This is our first group, our pilot program and the beginning of an ongoing educational journey! The advisors and administrators could not be prouder of what these students have accomplished in the short time they had to jump in and join something that was new to everyone. They have taken a sense of ownership in the help desk and helped propel it forward. In the past school year, the FCAST students went to the Google Summit at GHS where they attended a workshop on high school help desks and met with their high school counterparts to gain first hand advice. They presented to educational professionals at the Northeasten Regional Information Center (NERIC) Awareness Day, where they demonstrated their technology knowledge and confidently presented to a room full of adults! They also took a field trip to the NERIC help desk to see what career path these tech skills might take them and took part in a panel discussion on student technology use after a screening of “Screenagers” to the Guilderland community. As advisors, we have worked tirelessly to make these opportunities available to the students and they have excelled. We have also learned a lot as we went through some growing pains. The biggest challenge was deciding work for them to do. The advisors were expecting there to be a 1:1 program at the beginning of the 2017-18 school year, but that unfortunately got pushed back. Initially, the students were going to be asked to help manage the distribution, training and day to day troubleshoot of the 1:1 devices, but we had to change our mission for the 2017-18 year. There were a lot of tasks in the beginning of the year as tech got up and running in the classrooms, but things tapered off mid Fall. The advisors had to work to provide additional tasks to the students as they waited for tech support tasks to come in. FMS is on track to go 1:1 next school year, so our next group will be able to assist with that. The advisors are also going to provide more management of projects and tasks that need to be completed with a daily rundown board and assigned tasks (for example, reading the FCAST email, responding to teacher requests, inventory of parts, etc.). The students do well at completing tasks, but we need to provide much more scaffolding for getting tasks going then we originally thought. This is not a fault of the students; it was expected due to their grade level and age. Next year, we will have much more specific task lists, checklists for repair workflow and documentation of work done on projects so other students can easily pick up where one left off. These students are very talented but are involved in many different activities. Between sports, the school musical, extracurricular clubs and their school work, they have packed schedules. We initially tried to have students manage their own help desk schedules on a Google calendar, but that didn’t work out too well. For the next group, we plan to give them set schedules and require attendance at least three times a week. This way we can assure the help desk will always have someone there during the times it’s open and that projects won’t get lost in the repair process as we wait for the students who started certain projects to return and finish. Being a part of a middle school help desk has been an amazing experience. I have met new friends, learned how to take apart a keyboard properly and have helped so many people throughout the school with their technology problems.